Actual Size: DON'T DELAY! RESERVE TODAY! Someting different? 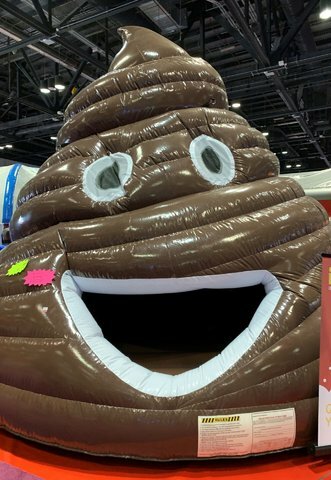 Kids love this emoji poo bouncer. Why ? I have no idea! But, Jump And Slide offers the most unique different items. Suprise your kids with the all NEW Emoji poo bouncer. when they show up and see a giant Emoji poo bouncer in your backyard. I guarantee it will be the talk of the town.